We never think of keeping the seeds when we use Cucumber, Yellow Cucumber/ Dosakai/ Mangalore Cucumber, Pumpkin and many more veggies in our cooking. Many of them have a great medicinal value that we never know, example is Yellow Cucumber seeds. I never knew about the medicinal value of this but during my last India visit my mom explained about this. She said It is "Samadhatu" means neither heats nor cools our body. When we take antibiotics we start coughing sometimes, at that time just go with this juice for 2 times a day for 1- 2 days. ( it worked out for me). We do not have to be sick to drink this juice, we can drink all the time. More than all these it tastes really really good. Perfect for summer. If you do not save the Yellow Cucumber seeds this is the time to start. What you all have to do is wash the seeds and sun dry for one day and store it. Let me know how you liked it. Small correction: My mom said we have to soak the seeds in salt water for overnight before keeping for sundry. It helps to get rid of the thik layer on the seed. Soak the seeds for 5 min in water. Drain the water after 5 min. 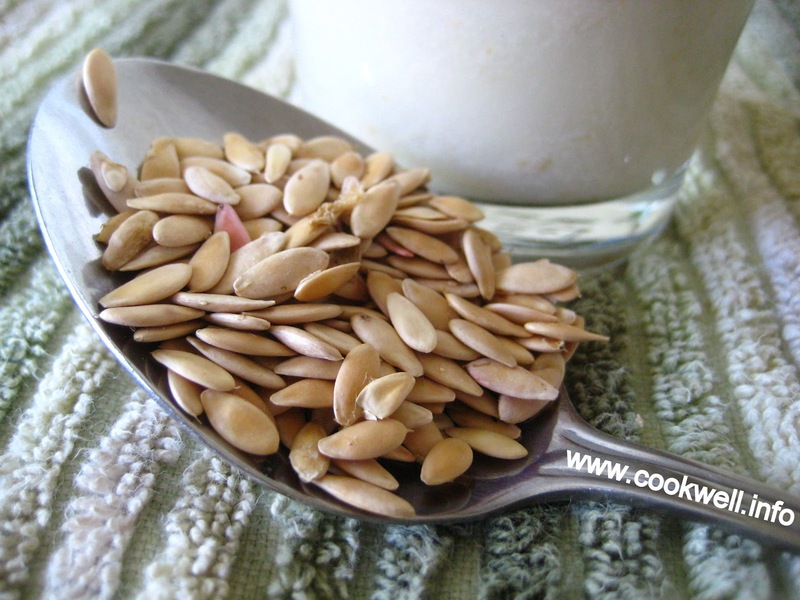 Grind the seeds into smooth paste with 1/4 glass of water. After grinding add remaining water and strain it. Drink it fresh, do not keep it outside or refrigerate for long time. Is it not a healthy, easy recipe? I am sending this post to Love lock with Juices and Milkshakes event hosted by Vani of recipe world. Seriously wat a wonderful drink..unique and interesting. yummy recipes and lovely blog...happy to follow u..
Lovely, family recipes are such a treasure, thanks for sharing. Will try it next time I get the yellow cucumber. 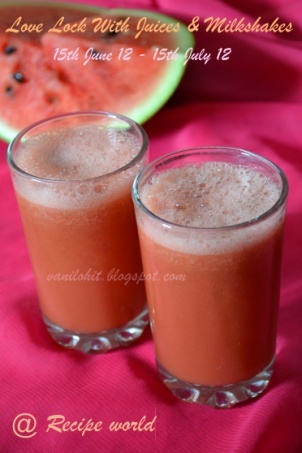 Such a healthy n relishing drink for the summer..even I prepare it frequently. Nice recipe dear! wow!this is something very new to me!.....refreshing! thank you for your comment and for joining up......i got to find your blog:)you have a lovely space...am your happy new follower now. 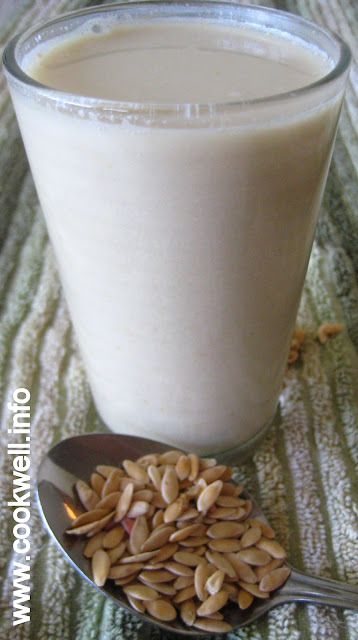 simple ..healthy..delicious..Thanx for da receipe..
a very refreshing summer drink. Do drop by when you find time. I post a guest post cabbage curry at Lavanya's recipes. The utilization of vegetable and organic product juices help to advance a sound way of life and advance an adjusted nutritious admission.